Draw it to remember it. Good trick to know. If the brain could brag that’s pretty much all it would do. It’s easily the most complicated organ in your body, and, more than that, the nimblest computer that has ever existed. But the brain has a bug and everyone knows is: memory. No matter how powerful its operating system becomes, its storage system stinks. Even in childhood, when the brain is as clear and uncluttered as it will ever be, memory is still imperfect, given to random failures, depending on how rested we are, how attentive we’re being and a range of other things. Now, a new paper published in the Journal of Experimental Psychology suggests an unusual strategy for improving it: drawing. 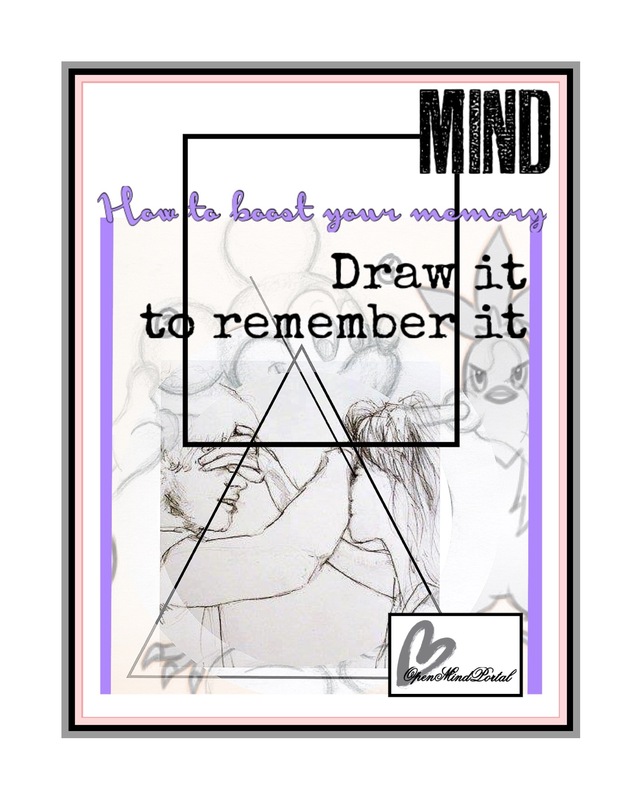 As long ago as 1973, investigators were studying the memory-boosting advantage of so-called dual-coding—the way that a combination of both thinking about an object or activity and drawing a picture of it can make us remember it better. Research did show that the strategy worked, but the studies were both sparse and flawed, failing to account for the mere fact that it takes longer to draw a picture than, say, write a word, and whether writing the word in a more time-consuming way—using elaborate calligraphy, for example—would thus boost recall too. In order to tease out those and other variables, a group led by psychologist Jeffrey D. Wammes recruited sample groups of students and ran seven different trials of essentially the same experiment on them. In all of the trials, the scientists started with a list of 80 simple words—all nouns and all easy to draw, such as balloon, fork, kite, pear, peanut and shoe. A random series of 30 of those words were flashed on a screen along with instructions either to draw the object or write down its name. After the 30 words, they would perform a filler task—listening to a series of tones and identifying whether each was low-, high-, or medium-pitched. That task had nothing to do with the study, except to get the subjects’ minds off of what they had just done, so that the memories could either consolidate or, just as often, vanish. Finally, they would write down a list of as many of the objects from the first test as they could. In most of the trials, the subjects got 40 seconds to draw their picture, but in one they got just four seconds. In another variation, they would draw the object or write the word or, as a third option, list its descriptive characteristics. In another, the third option would be to visualize the object. In yet another, they would write the word as elaborately and decoratively as possible. But no matter how many variations of the test the researchers ran, one result was consistent: Drawing the object beat every other option, every single time. We observed a significant recall advantage for words that were drawn as compared to those that were written. Participants often recalled more than twice as many drawn words. said Wammes in a prepared statement. Just why this is so is not clear. One past theory had been that drawing requires what the researchers call a deeper LoP—or level of processing. But the trial in which the subjects were required to list the characteristics of an object went pretty deep too, and it didn’t make a difference. Another theory had been that drawing simply takes longer, but the four-second trial appeared to debunk that. as they wrote in their paper. It will take more work to put flesh on those theoretical bones. For now, however, they only know that the technique works—providing a long-awaited software patch for the computer inside your head.